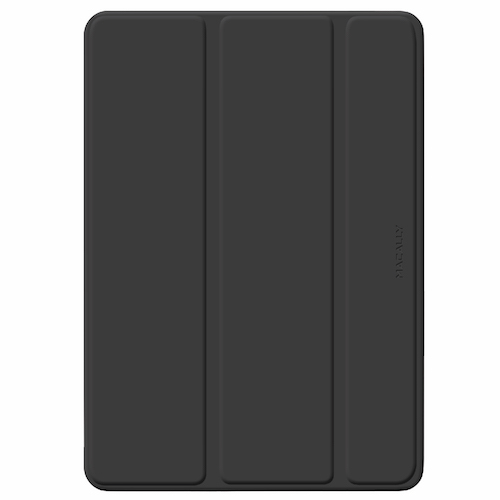 Stylish protection | The Macally BSTANDA3 is a stylish, slim and lightweight case with a faux leather exterior and soft microfiber interior that protects both the display and back of your iPad Air from scratches and dust. 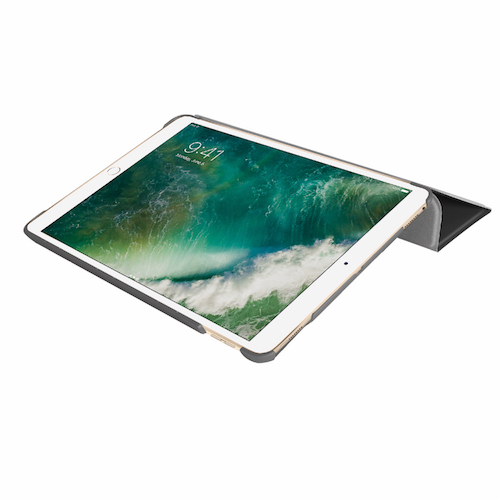 Stand function | Not only does it work as a protective case, but also as a viewing stand for your iPad Air. You can give it a small angle for an improved typing comfort, but you can also put it vertically, so you can comfortably watch photos and videos. 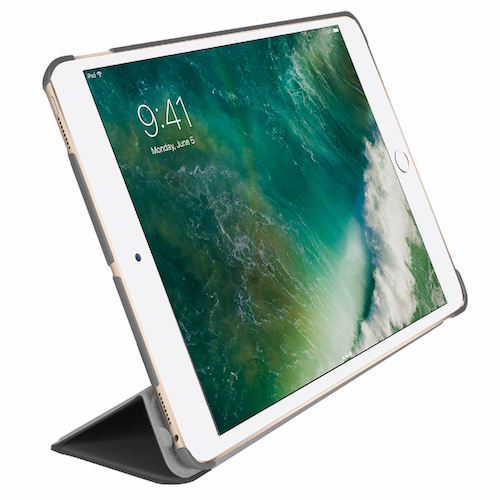 Supports Sleep/Wake function | When you open the case the iPad Air will wake up from sleep and when you close it, the iPad Air will go back to sleep. The front cover also has a magnet to keep the case closed when you don’t use it. 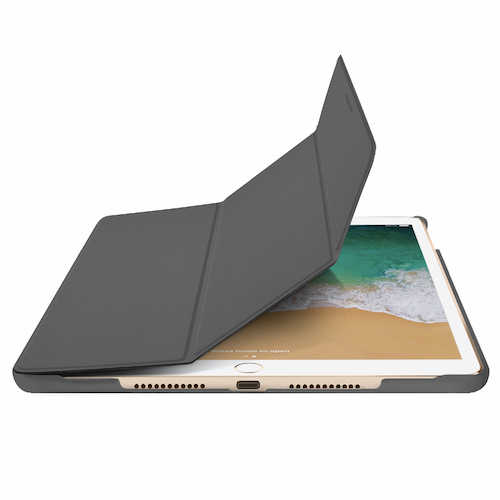 Easy to install/use | The case has a form fitting snap-on design that allows you to install and remove your iPad Air easily and openings for easy access to all buttons, connectors, stereo speakers, camera and microphone. 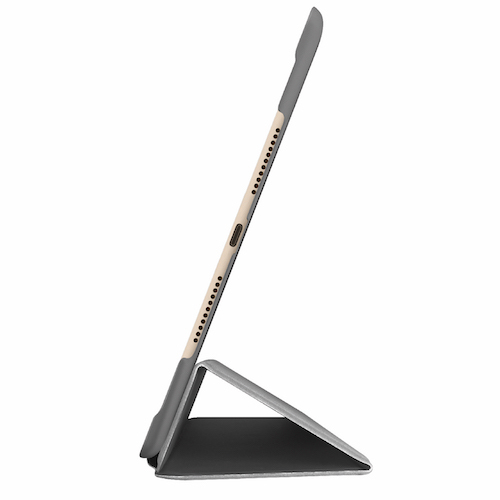 Fits like a glove | The Macally BSTANDA3 is specially designed for 10.5-inch iPad Air, both in functionality and design. 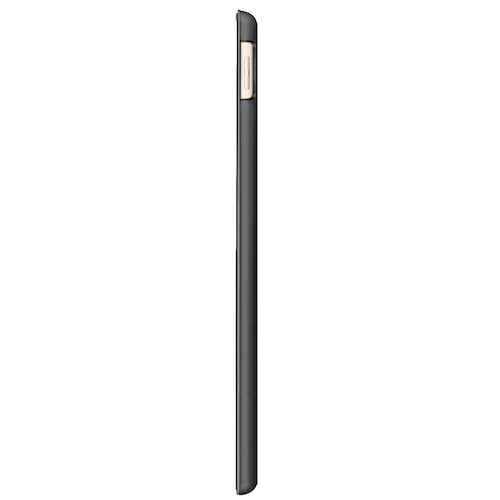 The case is available in black, gray and gold.